My sister-in-laws house drew some beautiful butterflies last month. 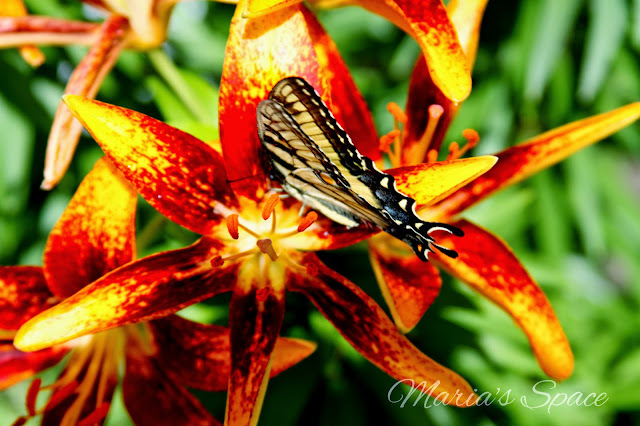 I am surprised I got a photo at all, this butterfly was in a frenzy. Love all that color. Gorgeous markings on the wings of this lovely butterfly. And it's framed by a brightly coloured flower. You got some wonderful shots. Such beautiful colours! Beautiful butterfly. Lovely captures! Visiting from Nature Notes.. Have a happy week! Wow! 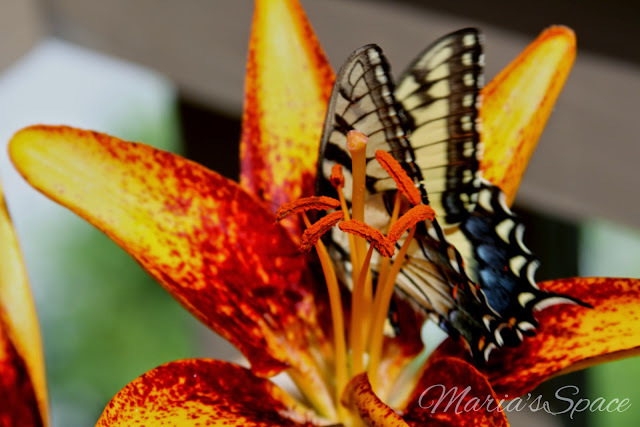 Gorgeous shots of a beautiful creature and the flower that it's enjoying. 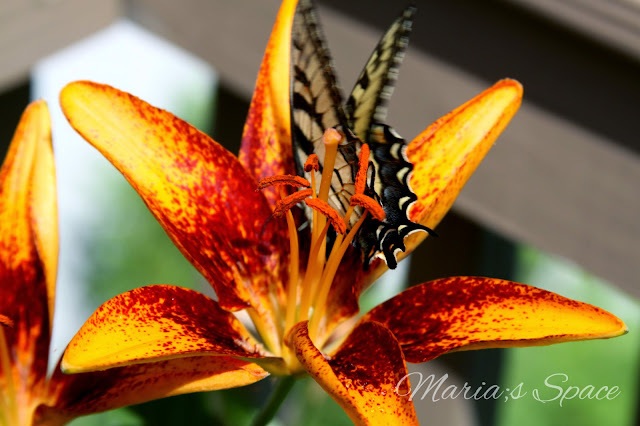 I have seen swallowtails nectaring at my tiger lilies...lovely lilies and butterfly.